What does Cinderella and an E! news reporter have in common? Secrets to success. Keke Palmer and E! News’ Alicia Quarles (who got Raven-Symone to admit she’s from every continent in Africa, ‘memba that?) talked to 60 handpicked NYC high school kids at MTV. 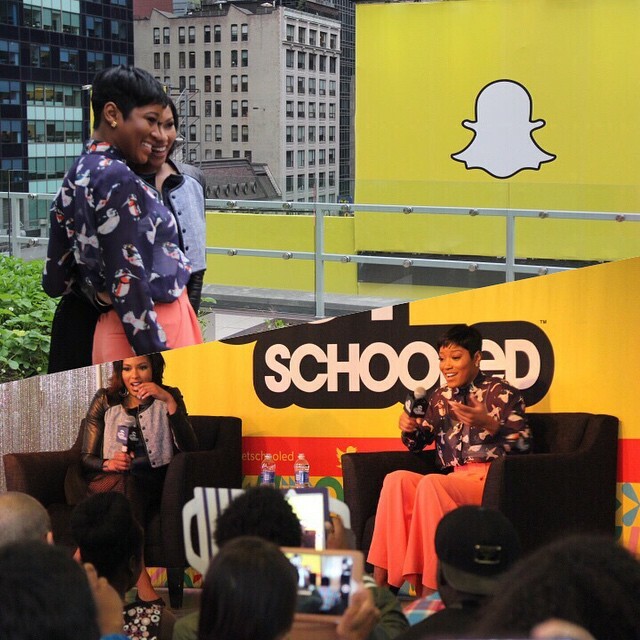 The kick it with Keke session was part of an on-going cycle of celeb talks from Get Schooled, a non-profit org motivating students to stay in school by recruiting “influencers” aka our fave celebs to instruct them to keep their heads in the books. Keke was no different. She told the teens–awarded the event for motivating their younger classmates to stay on the academic fast track–to stay focused on their goals just as much as they do their Instagram pages. No one will forget Keke’s breakout solo. Or, her demonstration on the evolution of twerking. Don’t take notes on that one kiddies. But, you can quote red-carpet maven Alicia Quarles when she advised networking as the method to get ahead.